It’s so strange seeing Australian animals here, so far from home. I don’t know why, but standing the other side of the Pacific looking at a load of rainbow lorikeets just doesn’t seem right. 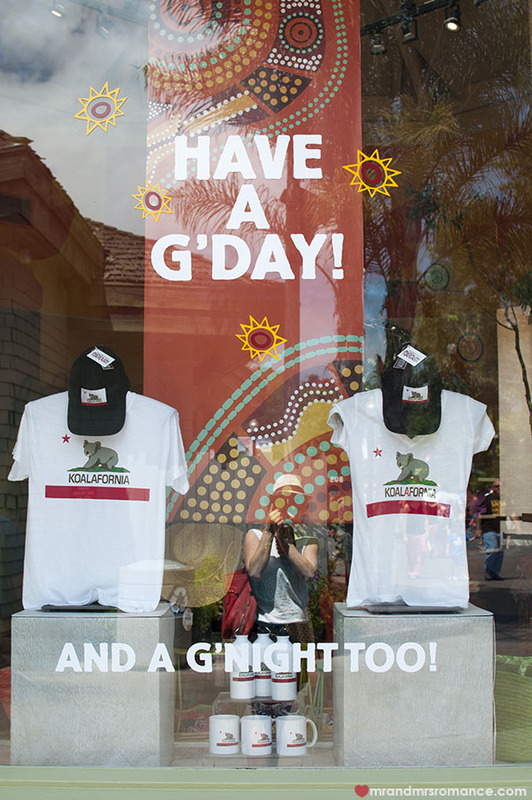 San Diego Zoo has been running a new campaign called ‘Koalafornia’, which has brought not only a dozen or so lorikeets, a couple of palm cockatoos and two surprisingly small red roos, it also has a state of the art koala enclosure. The koalas have a pretty sweet pad, with more than a tree each to sit in all day and sun shades that continuously pipe mist out over the enclosure. 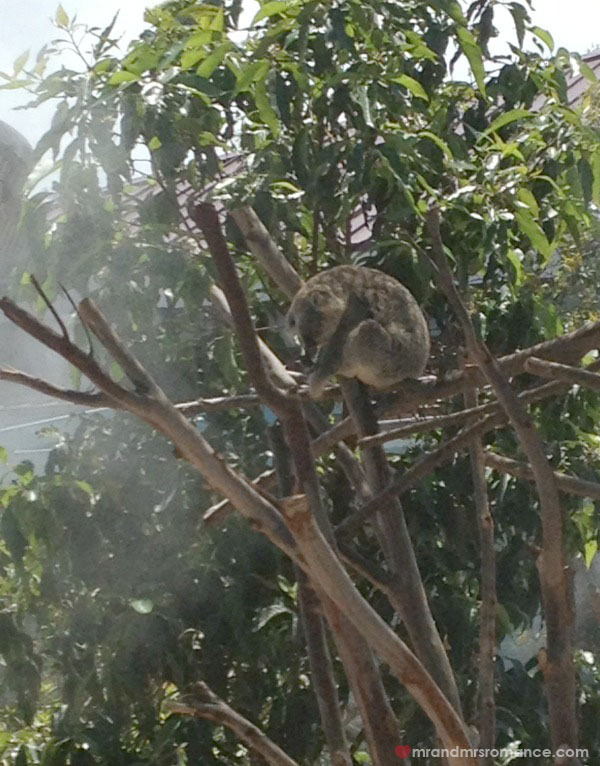 They have this because the koalas don’t do well in the dry desert heat of San Diego. Poor little buggers! The rest of the zoo is beautifully set out too with a sky car running all day that takes you from one end of the zoo to the other. There are a couple of other tours you can do too, such as the open-top bus ride that gives you a good view into the panda enclosure, which has a queue going round the corner. 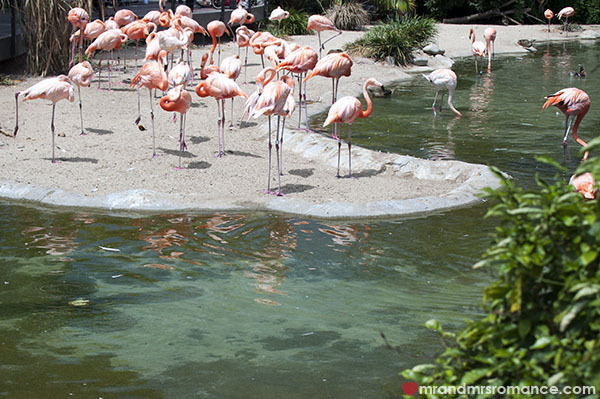 It’s clear why San Diego Zoo is considered one of the best in the world. 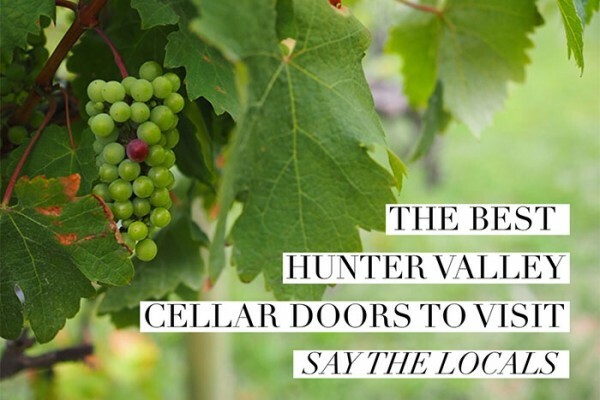 It has incredible facilities, more restaurants and bars than most towns, and all the big-hitters people come to a zoo to see. It also has a great bird breeding programme that sends over 200 chicks and fledglings a year to other zoos and parks internationally. 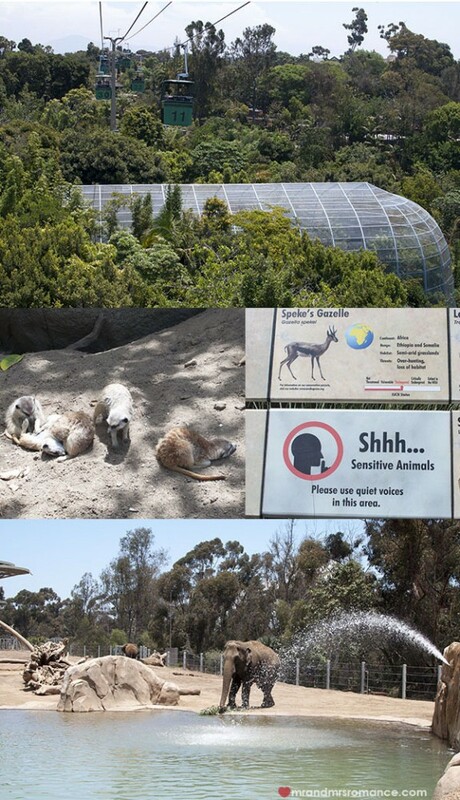 The zoo also has a brilliant system to keep the wolves and cheetahs and other highly strung mammals calm and happy. It’s a bit like a mentoring programme where the wild animals are paired up with a domestic dog from when they’re very young. The dog is used to being with humans and the bond between the two animals becomes so strong that the dog’s placid nature and composure rubs off on its wild ‘buddy’ and stops it getting stressed. 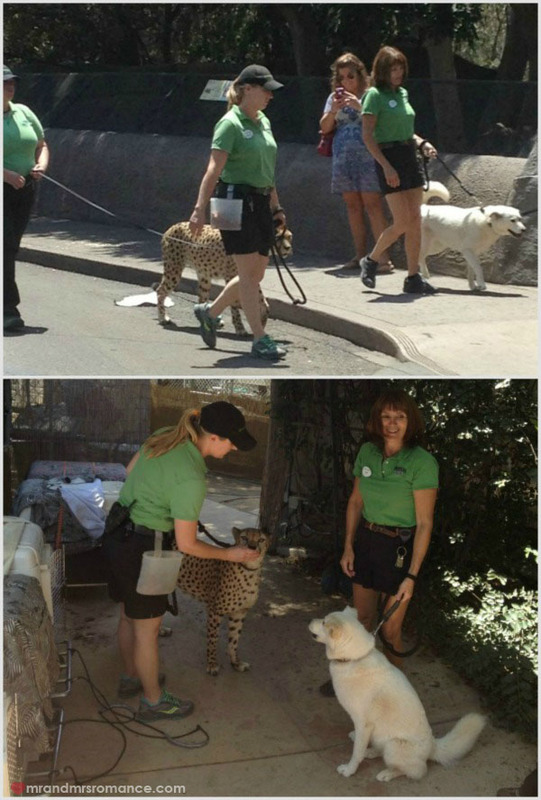 We spotted one of the cheetahs being walked to a new enclosure with her furry friend, a white husky-labrador cross. On the other hand, there are always those animals that, regardless of a zoo’s best efforts, just look miserable in captivity. It’s hard to look at the orang-utans, squished up in their dead-looking trees. They’re hard to keep happy in captivity because they’re used to so much space and are so smart. There are incredible escape artist stories of orang-utans. Also the bears and big cats that never look particularly pleased, too busy swinging their heads from side to side to notice the gaping crowds. It’s sad but then again, in the wild, they are in so much more danger from poachers and habitat loss. 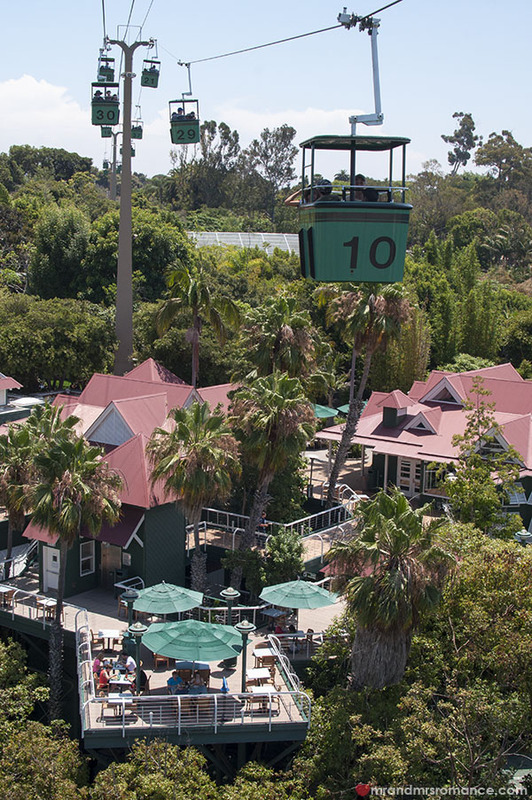 For very much the most part, however, San Diego Zoo is definitely worth a visit, and the animals are clean, well-fed and happy, as were we when we left, some four hours later. Tickets are available online or at the kiosk. $44 will get an adult in and gives you unlimited access to the Skyfari Aerial Tram (cable car), Express Bus and Guided Bus Tour. Kids get the same for $34. The best time to go is in the morning. The animals are livelier and it’s cooler. Head to sandiegozoo.org for more details.